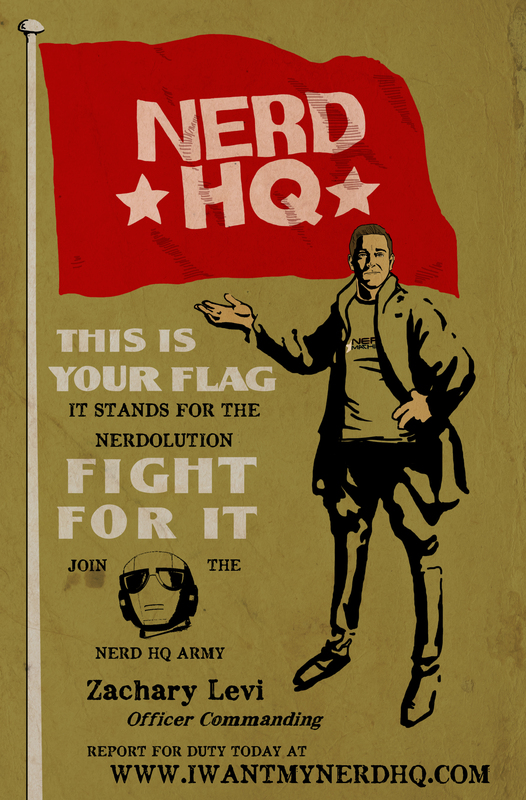 I want my NERD HQ! Let me start off by saying that I have, unfortunately, never been to SDCC or Nerd HQ. I absolutely love going to conventions (mostly local – NYCC, Philly Comic Con..etc. ), but have not had the opportunity to travel across the country for the mother of all cons. To be quite honest, for the past couple of years, I started to lose interest in going to SDCC just because of how stressful it seems to have become. Of course, at any convention you can expect it to be crowded and crazy, but with how popular SDCC has gotten, this seems so much more. Not to mention you normally have to wake up before the sun rises and sit in a line all day just to get into a highly favored panel. However, Nerd HQ is something that caught my interest. You get to see your favorites, but in a more intimate setting, and hosted by the awesome and talented Zachary Levi. You may know Zachary from Chuck, or perhaps Thor: Dark World. Either way, he genuinely loves geeking out as much as the rest of us do, and the money that he raises with Nerd HQ is donated to Operation Smile – Operation Smile provides free surgeries to repair cleft lip, cleft palate and other facial deformities for children around the globe. Aside from just panels, Nerd HQ hosts exclusive parties, autograph signings, photo ops, among other amazing opportunities. Oh, did I mention the price to get into Nerd HQ? It’s completely free. The only money you spend is for panels you are interested in, photo ops or autograph signings with your favorite celebrities. Not only are you doing everything you’d get to do at a regular comic con, but the money you spend is going towards a great cause! This wonderful event has been going on for the last three years thanks to sponsorships, however, this year it wasn’t as easy for them to get the money for Nerd HQ. 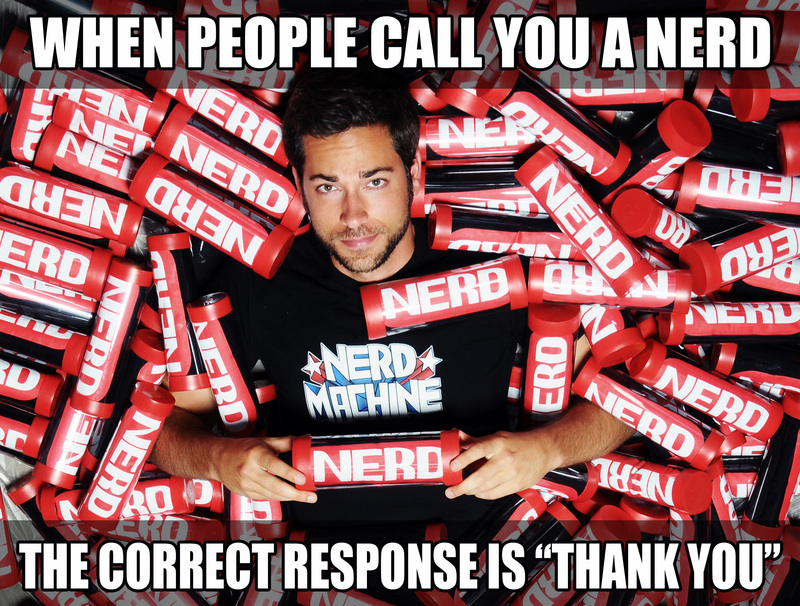 So far, thanks to dedicated fans, The Nerd Machine as raised over $170,000. They need $1,000,000 to meet their goal. ‘I’m not going to SDCC, why should I put money into this?’ you may ask. You know that video of Tom Hiddleston walking across stage like a velociraptor from Jurassic Park? That’s Nerd HQ. You may have also come across other videos that are crystal clear and the sound quality is great too with the cast of Doctor Who, Supernatural..etc. When these stars are at the panels at Nerd HQ, the videos are streaming live online, in excellent quality. You don’t have to frantically search on YouTube to wait for your favorite panels to go up days later, you can watch them along with the audience that’s there! All they’re asking for is $5 from you. That’s it. Of course, you’re definitely welcome to donate as much as you’d like as well. I may not be going this year, next year, or even the next 5 years, but I’m more than happy to help out this amazing event, as well as being able to help out a charity in need. I hope you all can shell out $5, too!